We often think of Christian missionaries as people who have been chosen to go and live in a distant country. There, they learn the local language, tell the people about Jesus and help them in many ways, preaching, improving health by building and servicing hospitals, or educate by building schools, teaching children, and then training local people to take over these services. This word is now used in non-Christian ways, especially in business, when the 'mission' of an organisation means that it chooses and sets out its aims. In terms of time, this word, as applied to missionaries, is not old. It was first coined in 1598 when a group of a Roman Catholic order called Jesuits, sent some of its members out to other countries. Forms of the Latin word 'missio' were used to describe the act of sending. 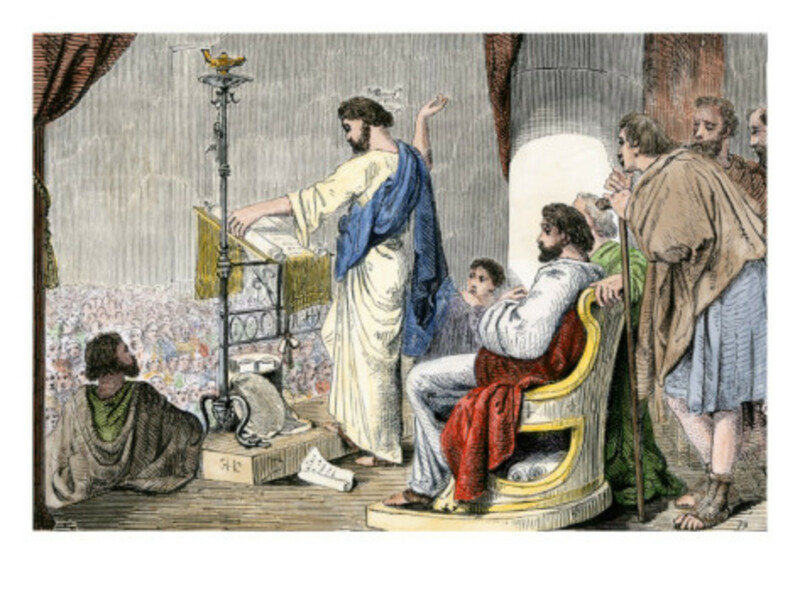 Forms of missio were used in the Latin translation of the Bible to describe the time when Jesus sent his disciples out to preach and heal in his name. After Jesus' death and resurrection, he appear to his disciples and told them to wait until something special would happen. That was the coming of the Holy Spirit and it occurred at Pentecost (Acts 2). Many people who attended that Pentecost in Jerusalem travelled long distances to join the celebration. After witnessing that amazing event, they went home to tell everyone about it. Just before his ascension, Jesus appeared and commanded his followers to 'go and make disciples of all nations' (Matt. 28.19). From this time, those timid, frightened people, received strength and courage from the Holy Spirit to go and spread the Good News by preaching, teaching and healing. As they obeyed, Christian missionary activity expanded and continues to do so as followers, even today, obey that Great Commission. As Christianity spread in those early days, a young Jewish zealot, then named Saul, contributed to the dispersal of Christians by obtaining authority to have them thrown into prison or killed, so many left the area to escape persecution. Later, after his conversion, his name was changed to Paul and he worked even more enthusiastically, growing a team to spread Christianity into many surrounding countries. 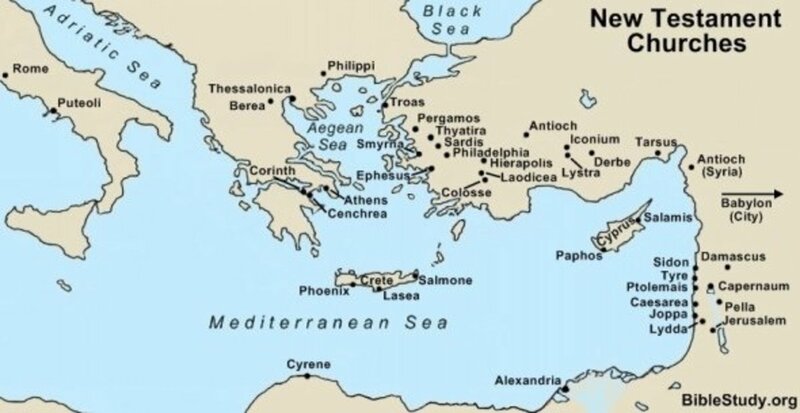 In an area known then as Asia Minor, one of those countries was Phrygia and it was part of what we know today as Turkey. 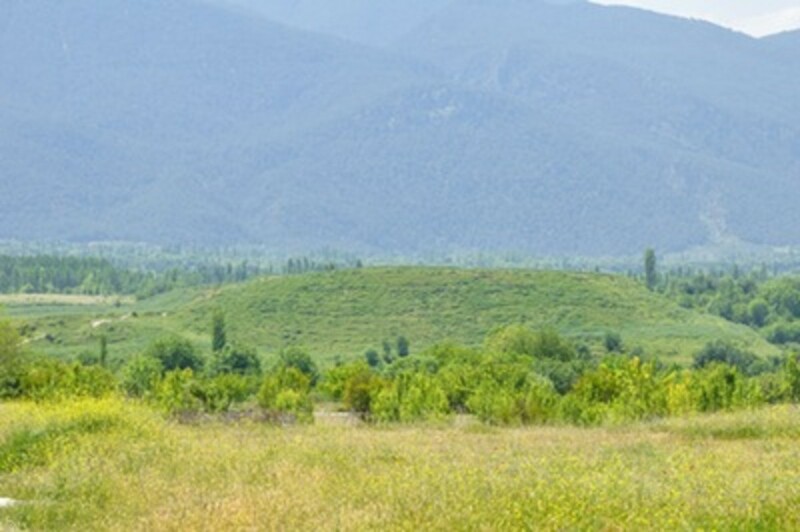 Some of the people who became Christians had their homes in the smallish town of Colossae in Phrygia, and formed Christian communities that met in homes there. One of Paul's friends was known as Epaphras. Colossae was about 180 km east of Ephesus, and southeast of Laodicea. In the fourth century BC, Colossae had been one of six large cities of Phrygia; it was mainly populated by people of Greek and Hebrew origin. Centuries before, a Greek king, Antiochus the Great, had relocated to Colossae two thousand Jewish families from Babylonia and Mesopotamia, as well as people of other ethnic and cultural groups. Colossae became a busy trade centre, especially for wool processing and transport as it was located on a tributary of the Meander River, the Lycus, and also because it was near an important military and commercial route from Ephesus to the Euphrates. However, by the time of Paul and Epaphras, it had become reduced in importance. In Colossians 1, Paul wrote that he had been thanking God ever since he had heard how they came to faith in Jesus when they learned about him from Epaphras. Paul referred to him as a 'beloved fellow servant' and praised Epaphras as a 'faithful minister of Christ' (Col.1.7). In his final greetings, Paul mentions that Epaphras also sends his greetings as 'one of you' (4.12), so we deduct that Epaphras was a Colossian. In this part of his letter, Paul again refers to Epaphras as a 'servant of Christ Jesus', adding that he is always struggling for the Colossians in prayer. Paul acknowledges how hard Epaphras has worked in the cities of Colossae, Laodicea and Hierapolis, a city north of Laodicea. In his letter to Philemon, Paul mentions greetings from Epaphras, who is a fellow prisoner of Paul (23) and Philemon's fellow Colossian. We do not know how Epaphras came to be in prison with Paul, but we do know from the other letter that he spent much time there in prayer. 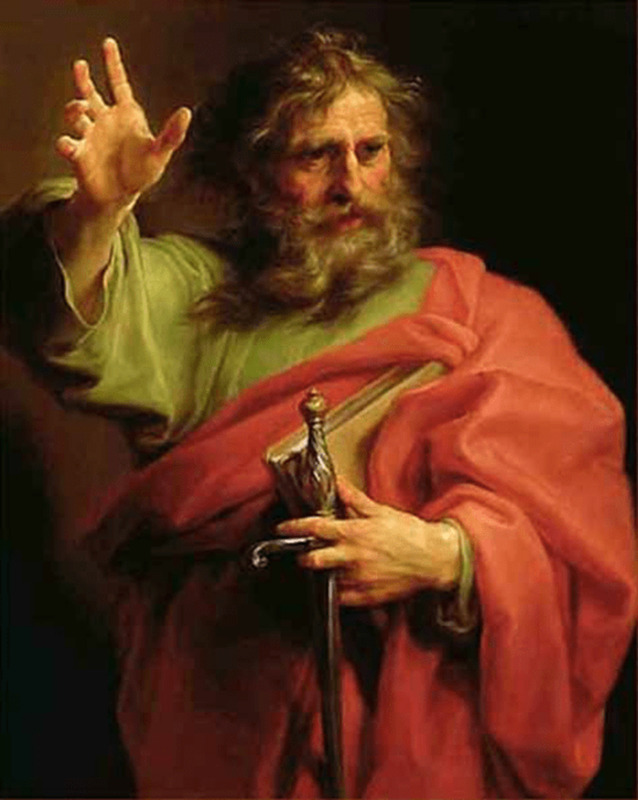 Some Bible scholars suggest that this name was a friendly, joking abbreviation of his full name, Epaphraproditus, whom Paul mentions twice in The Letter of Paul to the Philippians. If that is so, the full name suggests the meaning of his being surrounded by beauty, while the abbreviated version suggests that he foams at the mouth! Perhaps both were true, as he emanated the beautiful love of Jesus to those around him, and preached and prayed so hard that he foamed at the mouth! Although the word 'Missioner' denotes that the person has been sent, from the earliest times of Christian missionaries, there were some who were chosen to stay at or near home to share their faith and love of Jesus there. Epaphras was one such man. We don't know a lot about him, but, as we have seen, he was mentioned by Paul and was known by his preaching and praying in his hometown and nearby cities. We have learnt that it was Epaphras who took the gospel message to the three cities of the Lycus Valley, that is, to Colossae, to Laodicea, and to Hierapolis. Both of Paul's letters to Colossae were written at about the same time, 62 AD, and probably carried and delivered at the same time by the one carrier, our old friend Tichicus. He was accompanied by Onesimus, who had been a servant of Philemon, had become a Christian and had been helping Paul in prison. Now Paul was sending him back to his former master to work with him as a brother in Christ. We Christians cannot all be missionaries working in distant lands, but we can still obey that Great Commission by being Home Missioners and carrying the Good News of Jesus' love to those around us, praying for them and caring for them. and with all your mind...and your neighbour as yourself' (Matt. 22.37-39). We do that when we share the Good News of Jesus' love with those around us, praying for them and caring for them. Did you know anything about Epaphras before? I'd heard of him, but that was all. Norine Williams: However did I miss your lovely comment before? My apology and thank you for it. Donna: It does! Thank you for your response - and also for your 'follow' - now I'm following you, too - in the Name of the one we both follow - Jesus! Thank for adding depth. In this crazy, busy world we often cut corners on the wrong things, and then wonder why life becomes hard work and nothing seems to work out. The Word finds us in the most amazing ways sometimes. Thank you. We keep "growing, and growing and growing" into HIS likeness (II Corinthians 3:18)! Norine Williams: Thank you for your comments. Although this issue was not mentioned in my hub I found them interesting. You know Blossom, when I first came to HP I believed in water baptism but Judah's Daughter on HP believed "No water baptism" and I fought her tooth and nail! However, I went and "searched the Scriptures" (Acts 17:11) and asked GOD to show me TRUTH in HIS WORD! She was RIGHT according to Scripture! I don't know if she emphasized (misspelled above) I Peter 3:21 but I KNOW we don't need to give "...an answer toward GOD for our "Good Conscience" when HE "looks at hearts" (I Samuel 16:7)! GOD is AWESOME! HE "always" places someone in our path to "lead" us to righteousness because HE "looks at the heart!" You know Blossom, you mentioned "sometimes it happens the other way around" which shows Peter was "growing" and shows "water baptism" is not necessary to "put on Christ!" Peter said in Acts 2:38 ..."be baptized AND THEN you will receive the gift of the Holy Spirit..." but Acts 10 contradicts (if you're look with "carnal" eyes) what he said in Acts 2! God was "trying" to show us that "water baptism" is NOT necessary to be "baptized INTO Christ" (Galatians 3:27)! What really throws me is I Peter 3:21 showing "...a GOOD "CONSCIENCE" toward God" (in parenthesis)? I again ask, "If GOD can see our hearts" (I Samuel 16:7) why can't HE see our "GOOD CONSCIENCE?" Those FOOLS think the Holy Spirit is "crazy" and doesn't "lead and guide!" However, look how MANY "souls" are LOST! Because "The Christian Jews had been trained in the importance of obedience to The Law of the Old Covenant and now they needed to understand... "GRACE," as did Peter who fit in that category as well as evidenced in Galatians 2 re: circumcision. Peter was "changing from glory to glory" (II Corinthians 3:18) whereas Paul received "revelations" directly from Jesus Christ" (Galatians 1:12) being Christ's "vessel" (Acts 9:15)! Peter's walk with Jesus while on earth caused his "flesh" to enter periodically whereas Paul had an ALL SPIRITUAL relationship with Christ. Water baptism was "a figure of things to come" under Old Covenant Law. John said "I baptize you with water BUT another will come whose shoes I'm not worthy to latch will be baptize you with fire" (Matthew 3:11) and Ephesians 4:5 says "One Lord, one faith, ONE BAPTISM." If there is "ONE BAPTISM," why do we continue to "water baptize" as under Old Covenant Law? I know Scripture is not eliminating Holy Spirit baptism so where does "water baptism" come in? Did someone add? Paul said TWICE in Scripture "Be ye followers of me as I follow Christ" (I Corinthians 4:16; 11:1) and the saints followed the disciples on the Day of Pentecost (Acts 2:42) but little does anyone know about the operation of THE CHURCH which causes them to "frustrate the grace of God" (Galatians 2:21)! Therefore, if we are to "follow Paul," (which MOST have been taught "Pauline Doctrine" to deceive), "water baptism" didn't seem significant for salvation rather "preaching the WORD" to make disciples of men! You know, Hebrews 6:1-2 speaks of this: "Therefore leaving "the principles" of the doctrine of Christ, let us go on unto perfection, not laying again the foundation of repentance from DEAD WORKS, and of faith toward God, Of the DOCTRINE OF BAPTISMS..."
I cap "dead works" because Scripture says "Flesh cannot please God" (Romans 8:8) yet we want to "hang on" (As Peter) to Old Covenant Law as if the "figure of things to come" didn't come "frustrating the GRACE of God!" God knew we would overlook Matthew 3:11 and Luke 3:16 which says "HE will baptize you with FIRE..." because of "additions/deletions" to accommodate RELIGION. SOMETHING IS WRONG! Scripture WOULD NOT "contradict" Itself! Matthew and Luke didn't say HE will ALSO baptize you with water and fire but with FIRE! Therefore, which is this "ONE" baptism" spoken of in Ephesians 4:5? Norine Williams: I think it's just that each of those who serve God is not called to do everything, but to concentrate on using the gifts that He has given them. So, although Paul baptised some people, his main calling was to preach, and later to encourage converts through his writing, and what a blessing those letters have been to Christians down through the ages. We read in Acts 2.38 that Peter told the new converts that they needed to be baptised so their sins would be forgiven, and after that they would receive the gift of the Holy Spirit. Sometimes it happened the other way around, as we see in Acts 10.44-48. Here it is recorded that the Holy Spirit was poured out on Peter's Gentile hearers, which caused consternation among the Jewish Christians as they felt that it was only for them. 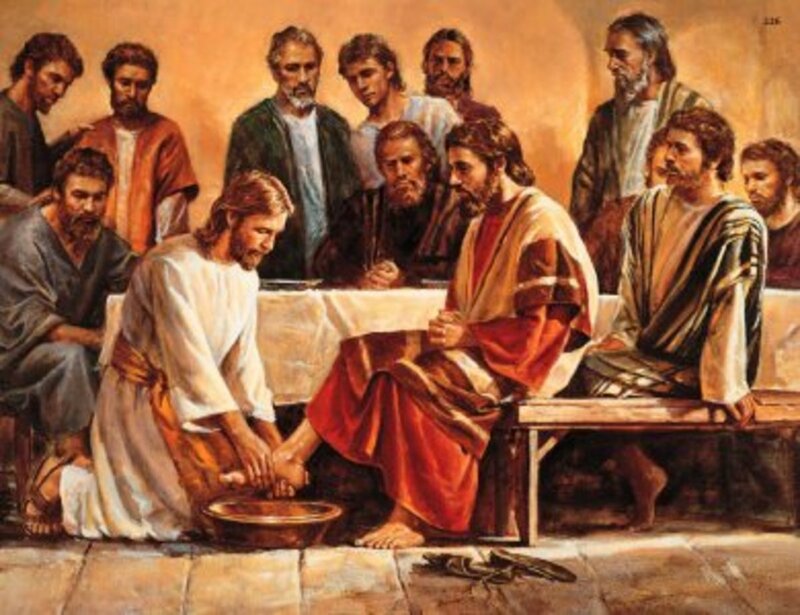 Peter asked the Christian Jews that, as the non-Jews had received the Holy Spirit, how could the Jews object to the Gentiles being baptised with water in the name of Jesus. The Christian Jews had been trained in the importance of obedience to The Law of the Old Covenant and now they needed to understand and obey Jesus' condensation of the law into two parts: 'Love God...love your neighbour as yourself' (Mark12.28-31). Hope this helps, and God bless you. lifegate: I'm so glad that you found it interesting. I like the idea that, although we may be unimportant, we can still serve by shining our light in our own small corner, right where we are. Blessings. Interesting article with a lot of good information about a man we don't hear much about. Thanks for your research. Yes, "One Body, with differing functions (I Corinthians 12), but all part of the world-wide Christian family!" Blossom, may I ask you this? Since you said [they] "...claimed baptism by different leaders" (I Corinthians 1:11-18) do you think Paul "continued to receive revelations from GOD" and it was given unto him there is no more "water baptism?" Why did it seem of "less importance" to him than the "preaching of the gospel" (v17) although I realize we have "different functions" but if significant for 'salvation,' why didn't Paul emphasis? Since Paul stated in verses 11-13 "For it hath been declared unto me of you, my brethren, by them which are of the house of Chloe, that there are contentions among you. (v12) Now this I say, that every one of you saith, I am of Paul; and I of Apollos; and I of Cephas, and I of Christ. (v13) Is CHRIST divided? was Paul CRUCIFIED FOR YOU? OR WERE YOU BAPTIZED IN THE NAME OF PAUL?" When verse 13 explicitly says we should be baptized in the NAME OF JESUS CHRIST, does this mean "water baptism" or "baptism in the Holy Spirit?" John said in Matthew 3:11 "I indeed baptize you with water UNTO repentance: but he that cometh after me is mightier than I, whose shoes I am not worthy to bear: he shall baptize you with the HOLY SPIRIT, and with FIRE." Also, Ephesians 4:4-6 says there is "...ONE baptism..."
The New Covenant is an ALL SPIRITUAL covenant then why should we be "water baptized" especially since "revelation" was given Paul "preaching the gospel of Christ" was of more importance? Romans 8:8 tells us "So then they that are in the flesh cannot please GOD!" Although I Peter 3:21 says "The like figure whereunto even baptism doth also now save us (not the putting away of the filth of the flesh, but the answer of a "good conscience" toward GOD,) by the resurrection of Jesus Christ," why would we need to show "GOD a "good conscience" when HE READS HEARTS? I love sharing Scripture with you for you are one of the few who "understands" what I'm talking about and Scripture says "Iron sharpens iron" (Proverbs 27:17)! Norine Williams: That is true, but 'the Church' had already begun to separate into groups, as we read about in Acts, with those who followed or claimed baptism by different leaders. I prefer to think of them as members, or different parts, of the one Body, with differing functions, but all part of the world-wide Christian family. Again, thank you for your comments, and may God bless you. I pray they understand (as you) the LAST COMMANDMENT given by JESUS was to "WAIT" for "HELP" from the HOLY SPIRIT "before" starting their journey as a Disciple of Christ! Consequently, they would KNOW Christ has ONE MIND and there wouldn't be 33,000+ different "churches" or denominations in the US alone (Isaiah 28:10-13)! I continue to pray, for GOD'S desire is "No one is lost" (II Peter 3:9)! Norine Williams: Thank you for that long comment, and God bless you. I'm so glad that you enjoyed this hub; I enjoy reading yours, too. We do that when we share the Good News of Jesus' love with those around us, praying for them and caring for them." WOW! I certainly enjoyed this HUB! I've seen Epaphras' name but hadn't give him much thought although he was very effective as a minister for Christ. As Jesus was "looking at the end" and not as we do which is "from the beginning," he saw "technology" and knew we would become "Home Missionaries" and stated "Greater works than these shall ye do" (John 14:12) if we BELIEVE and become "Disciples of Christ" fulfilling "The Great Commission!" Epaphras' may have been mentioned only a few times in Scripture, but his prayers were fervent and he always prayed that the saints would acquire the "knowledge of his (GOD'S) will in all wisdom and spiritual understanding..." (Colossians 1:9)! Epaphras was an "interceder" in prayer which meant he had a DIRECT "Communication Line" to GOD! I thoroughly enjoyed being reminded; we all have a function for Christ as members of THE BODY but would not be "whole" without the function of each member whether we appear to be small or not (I Corinthians 12)! Blond Logic: That's lovely that they do this, it can't be easy, doing all that travelling, although at least we have better means of getting around now, as they mostly travelled by boat and on foot. manatita44: Yes, they are an inspiration to all of us, and although travel these days is comparatively easy, it can be exhausting - and also expensive, but it can be well worth the effort, too. FlourishAnyway: Thank you, I'm glad you enjoyed what we can glean of Epaphras's story. Mel Carriere: I find these lesser characters so interesting. They may not have been as important as the better known ones, but they supported them and were lights in their own small corners. MsDora: Yes, great leaders do need support, it's what helps to make them great and I find that these characters, although we do not read so much about them, were really important in their own, quieter way and it's something that we can emulate, as well. Blossom, I appreciate the light you shed on little known Bible characters like Epaphras and Little Tich Tychicus. You remind us that great leaders need great support. Thank you. I have to admit that even after reading the New Testament on a few occasions this is the first time Epaphraa has been brought to my attention. I thoroughly enjoy thess vignettes into Christian history. Great hub. I had also not heard of Epaphras before although I am no learned student of the Bible. You are a practiced explainer. Nice Hub and two inspirational men. Paul was totally awesome! We have a few of these men on our Path whom Sri Chinmoy encouraged, but we are all different, as you know. Some of my disciple friends contribute in amazing ways! Others are like Paul and Epaphras. Me, I'm an all rounder and have travelled over 300 times and gone to forty two countries, 95% of them for spiritual causes. Much Love. Jonah: I'm glad you enjoyed it. It's the little people that we don't take much notice of who are important. Always exploring: I'm sure you have heard or read of him in some of Paul's letters, but we just ignore such people as we don't know much about them. It's probably the same in our churches, it's often the quieter ones who are sharing their love of Jesus with their neighbours, while we hang back and don't do what we should. That sounds as if it was a good sermon you had last Sunday. Blessing to you. I am with the others, I too hadn't heard of him. Here in Brazil we have met with an American family who spent much time here as missionaries . They still travel here frequently to reconnect with friends and help with church events. Blossom, this was very interesting and well written. I had never heard of Epaphras before.